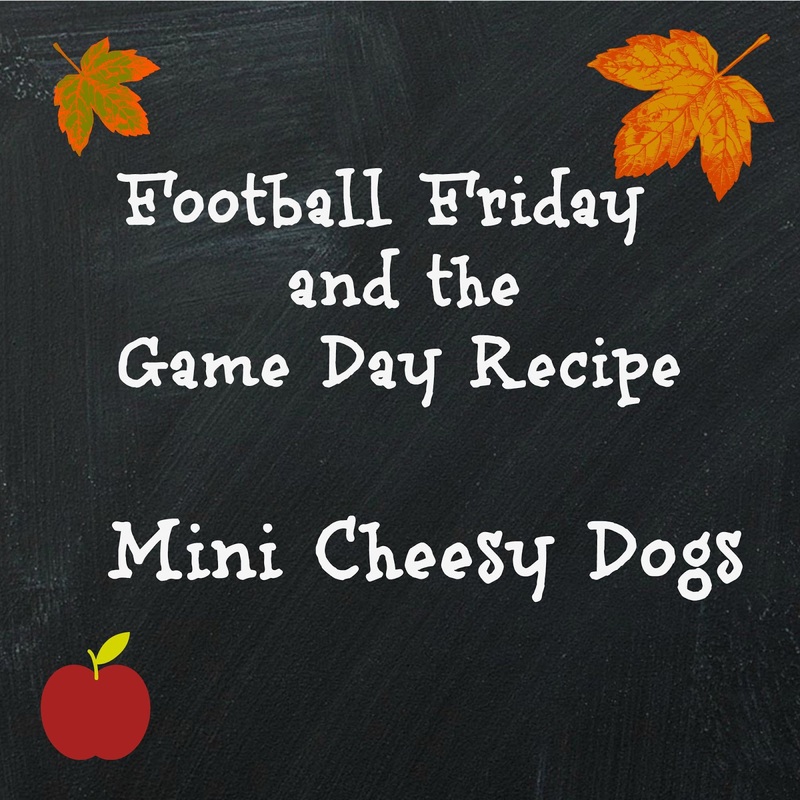 Welcome Back to Football Friday and the Game Day Recipe. 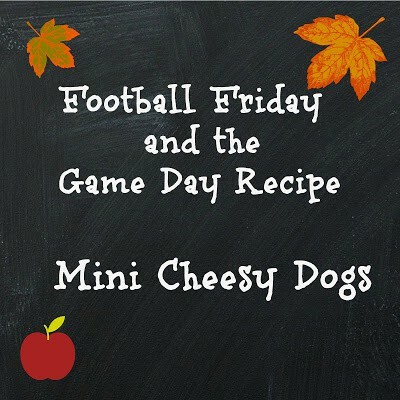 Today’s recipe is for Mini Cheesy Dogs. 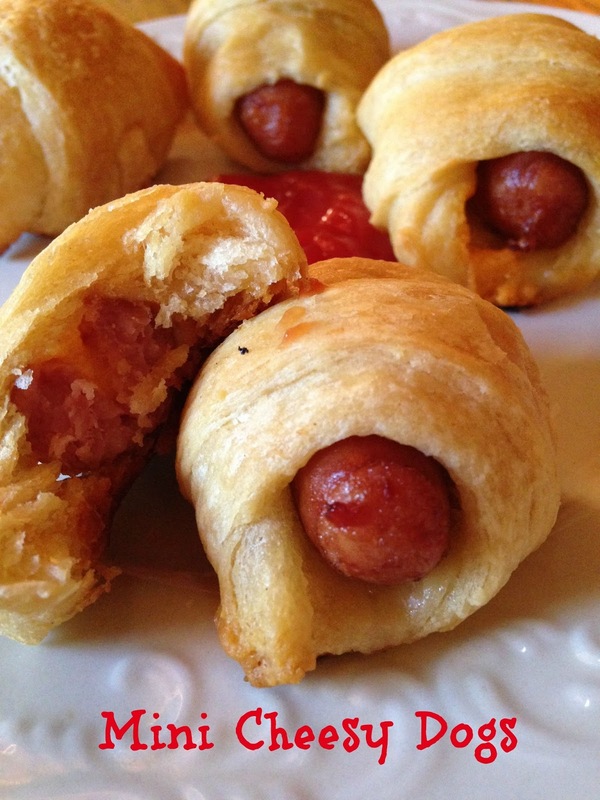 The dogs are made with crescent rolls, cocktail wieners and cheese. Fast, easy and affordable. The perfect combination when serving a group of hungry football fans. 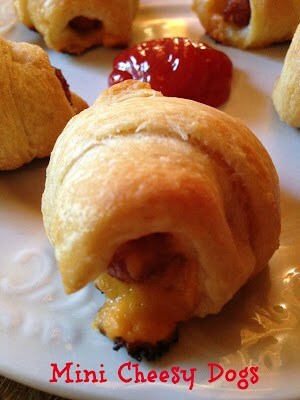 Another plus, these mini cheesy dogs are delicious served with ketchup, mustard or barbecue sauce. 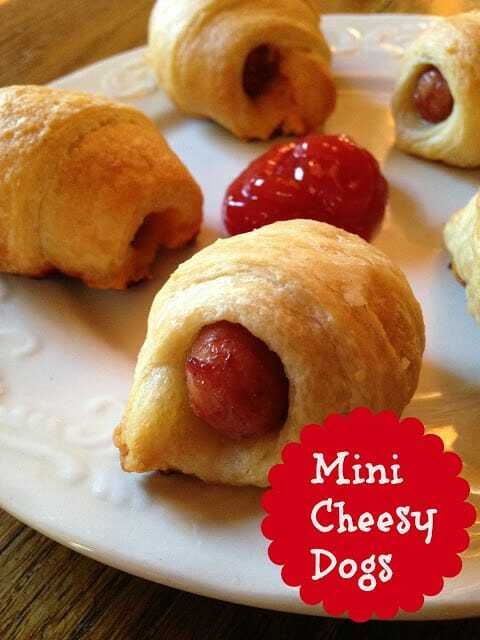 If your hosting a kids birthday party or it’s summer time and you don’t know what to make your off from school kiddies, why not whip them up a batch of the mini cheesy dogs! My grandkids are ages 7, 5, and 3 and they love these mini, kid finger friendly mini dogs. If you don’t have cocktail wieners, substitute regular size hot dogs and just cut them into thirds. Another good choice to serve is Mini Quiche Florentine You can easily have a “mini party” where only mini size appetizers, sliders, side dishes and desserts are served. Take a look through my Recipe Box to find many delicious “mini” recipe ideas. Unroll tube of crescent rolls, separate at perforations. Using a sharp knife, place knife in the middle of the wide end, cut down to the tip of the crescent rolls, forming 2 small crescent rolls. Proceed with the remaining crescent rolls. Will have a total of 16 small crescent rolls. With the tip of a butter knife, dip into the cheese spread. Fill each cocktail wiener pocket with a small amount of cheese, set aside and continue with remaining cocktail wieners. Starting at the wide end, roll up one cheese filled cocktail wiener in crescent roll, ending with the tip. Place cheese/tip side up on a baking sheet. Repeat until all cocktail wieners are rolled up. Lightly spray crescent rolls with non-stick cooking spray. Bake at 375º for 10 to 12 minutes. Serve with ketchup and/or barbecue sauce.